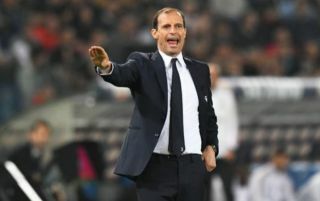 Juventus have reportedly set their sights on two more marquee signings as the Turin giants look to extend their domestic dominance and conquer Europe. The Bianconeri have already won seven consecutive Serie A titles, but to maintain that motivation and aim for bigger objectives, they swooped to sign Cristiano Ronaldo from Real Madrid this past summer. Given the Portuguese superstar’s pedigree in the Champions League as a five-time winner, he’ll undoubtedly hope to take the Italian champions closer to their dream of ending their wait for European glory this season which now stretches past 20 years. However, as reported by Sport, via the paper edition of Tuttosport, Juventus have now set their sights on Man Utd star Paul Pogba and Real Madrid left-back Marcelo to further bolster their squad. Given the partnership Ronaldo and Marcelo enjoyed during their time together at the Bernabeu, that could be a sensible move to help get the best out of the 33-year-old as he has yet to open his account for Juve this season despite featuring in all three league games thus far. Nevertheless, Massimiliano Allegri does already have Alex Sandro in that position, and so it remains to be seen if he must be sold first in order to make room for Marcelo, as neither will be content with playing a back-up role or being rotated. As for Pogba, speculation has been rife over his future at United with Goal.com reporting on comments he made over the weekend with regards to talk of a move to Barcelona and his relationship with Jose Mourinho. Rather than dismiss the idea of leaving out of hand, the Frenchman seemingly refused to deny the situation entirely and reverted back to his contract, and so time will tell if an exit does indeed materialise. Having previously played for Juve and emerged as one of the top midfielders in Europe during his time with the club, a return to Italy could be the solution to rediscover his best form on a consistent basis. Should he join Marcelo in Turin, Juventus will undoubtedly boast one of the strongest squads in Europe to become obvious threats both domestically and in the Champions League.